The C.C. Spoon will flutter into the strike zone like incapacitated baitfish before striking back with an iron-clad hook set. One of professional bass fishing's most proven jigging spoons, the C.C. 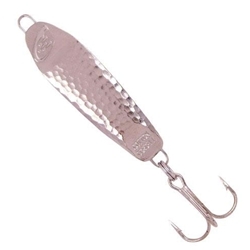 spoon come equipped with rugged hardward and rustproof hooks.